Antenna Company announced the launch of a multi-constellation antenna for location tracking and positioning applications, supporting GPS, GLONASS, and BeiDou frequency bands. The solution, AC30011, is designed and optimised for easy integration into industry standard OBD-II dongle form factors and has been tested with industry leading GNSS chipsets. 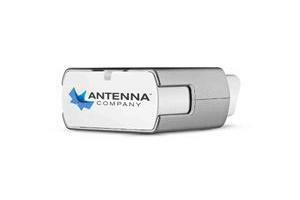 The AC30011 antenna is designed for close integration with 4G cellular antennas in telematics units to avoid coupling between antennas. The design has been pre-tested and optimised for integration into an OBD-II form factor, which allows fast time-to-market for new designs without the need for an extensive and iterative tuning process for the antenna.